Special Olympics Illinois serves more than 22,500 athletes and more than 20,000 Young Athlete in Illinois. We host 290 competitions a year as well as many other events in support of our various initiatives. We need the help of volunteers like you to run these events! REAL SPORTS:Deliver high-quality training and competition in an inclusive culture that stresses athletic excellence, rewards determination, emphasizes health and celebrates achievement. ATHLETE HEALTH:Promote the overall well-being of people with intellectual disabilities via programs that ensure ongoing access to quality, community-based health care services, highlighted by free health screenings at Special Olympics competitions, games and other venues. TRANSFORMATIVE EDUCATION:Equip young people and adult influencers with effective tools and training to create sports, classrooms and community actions that produce friendships and acceptance, driving positive attitude and behavioral change. Special Olympics International & Special Olympics Illinois are uniting to host a week of exciting events to celebrate the first 50 years and to launch the movement into the future. We are looking for creative ISU students to work with SO staff & athletes to create a plan for campus-wide involvement. We are looking for students to work with our Special Olympics Global Messengers on their speeches and presentations. Special Olympics is looking for real stories from real volunteers. 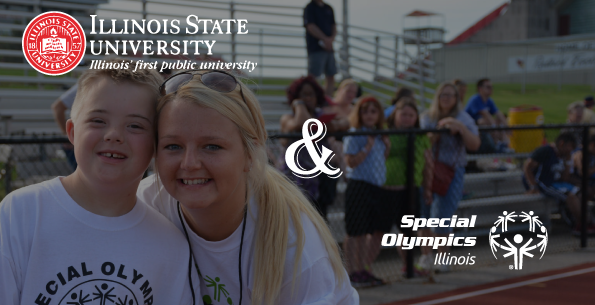 We will partner you with current ISU/Special Olympics volunteers who you will then interview and write about. *Special Olympics will provide templates. Donate your voice! As a SOILL Social Media Ambassador, you can help raise awareness, donations, and digital relationships. Questions? Email Teresa Crudele tcrudele@soill.org or call at (312) 405-7335. 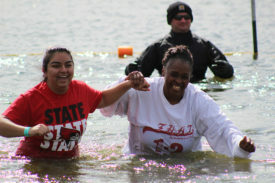 Sign up for the Polar Plunge! Questions email Jim at jfitzpatrick@soill.org or Bailey at bbrenner@soill.org. ISU students are creating a more accepting and inclusion community for all, and we want to see it! Tag your photos & videos on social with #unifiedISU for a chance to win Special Olympics Illinois swag and gift cards throughout the year.